Playing hide and seek is Ginnie's favourite game. But Ginnie has a problem. She is very bad at hiding and is always found before anyone esle. So when Ginnie disappears and can't be found, everyone is worried. Where could Ginnie be? Can the friends find Ginnie? How will Ginnie solve her "hide and seek" problem? The Ginnie & Pinney multiplatform program is aimed for children, 3-8, to stimulate and enhance emotional intelligence, empathy and ethical decision-making. It includes an eight book set, eight animatic videos and a teacher resource. Open-ended questions at the back of each book, created in consultation with Australian academics, aim to encourage lively discussion and ethical decision-making. Each book is a 36 page full colour paperback. The program is based on the Australian National Framework for Values Education and the Early Years Learning Framework for Australia. Scan the QR Code on the back of the book and watch the story come to life in an on-screen animation! A set of fair trade character finger puppets can be purchased separately to encourage dramatic play with the story. 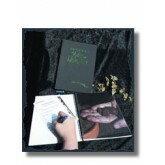 This book is part of a set; buy one book or the whole set for $125 in its own carrying case. Ginnie & Pinney are excited. They have invited Dodo to his first sleepover but Dodo won't share or help. Is Dodo being a bad guest or is there a reason for Dodo's behaviour? When Dodo finally tells his friends the truth, they agree to share with him. But has Dodo learnt to share with them? Pinney is excited about putting on a concert with his friends. But when Lulu is excluded from joining in and the concert isn't going well, Pinney realises Lulu might have something to offer after all. Will Lulu forgive her friends and save the concert? And what will Pinney have to give up if she does? Are These Your Glasses? 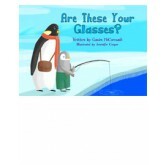 tells the tale of, Sergio, a lonely penguin who is faced with many hurdles as he grows up. Sergio is a champion against bullying. With his father as a guide, he learns some valuable lessons.These lessons help him to show great determination and strength as he tries to find true friendship. The book has been designed to inspire deep conversations within the classroom and home about what it feels like to be excluded. It explains how we can overcome bullying with care and love. The story of Sergio has the potential to educate children on a variety of levels. It inspires deep conversations about what it feels like to be excluded from a group and teaches children that the gift of kindness is the greatest gift of all. As Sergio embarks on his quest for love, the sky ‘Aurora Australis’ changes its colour depending on his emotional state. This should allow those children who find it difficult to express their emotions in words to relate to Sergio’s situation. The book has a strong moral focus with many fine details and inferential clues within the beautiful illustrations which can be great discussion starters with children. And to top it all off, it has a beautiful ending. The book is supported by detailed guides for parents and educators to assist them to extend the learning with the children in their care. Gavin McCormack is a primary school teacher based in Sydney Australia who wants to make a difference. As a child, he was bullied at school. The feeling of the bullying he faced stayed with him well into his adult life. After working with children for almost 20 years, he has seen patterns emerging, especially in those children who are socially excluded. He decided to write this book to eradicate social exclusion in primary schools and to educate young people about the long-term effects of bullying and exclusion. 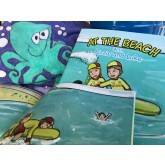 Endorsed by Surf Life Saving Australia, and based on two young lifesavers, "At the Beach with Lizzie and Luke" focuses on the adventures of Lizzie and Luke as they perform their monthly surf patrol at Paradise Beach. The book contains vibrant, coloured illustrations and targets young readers, 3-7 years of age, providing an entertaining story but at the same time reinforcing important safety information. Learning to educate children early, on how to be safe while enjoying our beautiful beaches, can only serve to help enhance their personal safety. Each book contains general safety information at the rear of the book. 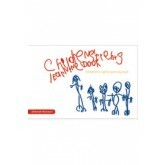 Children’s Rights Learning Book is the first book written by young children for young children and teachers about rights. '… the need to take a more active stance on children’s participatory rights is particularly important when there are significant changes in early childhood education and care, including the implementation of the Early Years Learning Framework which seeks to embody these rights in educators’ daily practice'. When Pinney suggests making kites on a windy day, Ginnie is a bit worried about being blown about. Everyone else thinks it is a great idea. Whilst Pinney's enthusiasm convinces Ginnie to make a kite and not be left out, it is also the cause of many kite-making problems for Pinney. After many failures, Pinney finally makes a kite that flies. Or does he? This set comes in its own sturdy display box and contains all 8 of the titles in the Ginnie & Pinney series of books. A wonderful classroom resource and looks beautiful. A selection of fair trade finger puppets to encourage dramatic play alongside the Ginnie & Pinney books. An open space to record your ideas and reflections, beautifully presented in honour of the Nature Action Collaborative for Children. The stunning photographs celebrate young children connecting with nature from around the world. Inspirational quotations on vellum paper, glossy photos and watercolour paper for artwork and scrapbooking are what make this an amazing book. Tao Tiger is looking forward to a quiet night at home but when his friends barge in uninvited, Tao is annoyed. Frustrated by their antics, Tao unfairly yells at Ginnie. The friends are shocked. Why is Tao angry with Ginnie? How can Tao make amends and will Ginnie forgive Tao? When a mother experiences a mental illness like depression, the whole family can be affected. In this story, a young boy describes his struggle to understand his mother's condition. 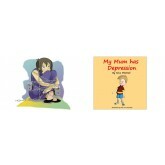 Nina Mitchell provides a means for fellow depression sufferers to tackle a difficult topic in such a way it can be easily understood by young children. Young Charlie is a true-blue young Aussie, and so is his friend Khaled. They spend time together on their scooters, as well as chatting about the things that they share, and the things that make them different. 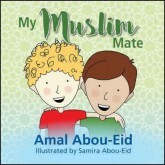 My Muslim Mate, written by exciting new author Amal Abou-Eid, is the story of how, through talking and learning about each other’s cultures, friendships can flourish and lives can work together harmoniously. The story explains aspects of Islam that are often misunderstood, and is a great resource for non-Muslim families who wish to learn more, as well as Muslim students in classrooms across Australia who can access the book to help express themselves. 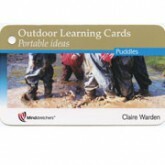 A pocket full of ideas that build on the fascinations of children – practical and portable, these cards are designed to share the possibilities of playing outside in Nature. Use to stimulate curiosity and engage children through rich learning opportunities inside, outside and beyond. Creating memories that will last a lifetime. A pocket full of ideas that build on the fascinations of children – practical and portable, these cards are designed to share the possibilities of playing outside in Nature. Use to stimulate curiosity and engage children through rich learning opportunities inside, outside and beyond.